Michal Wojcik’s “A New Bestiary” is a posthuman tale about body modification. In this near future fiction piece, Mojcik presents a world where people are remaking themselves into monsters as a way to claim a new, non-human identity for themselves. Ranging from Centaurs to Satyrs to Merpeople to Cyclopes, these monsters are not merely evincing biological change, they are building new, resistant identities. However, these identities surpass medical modification and the changing of the biological start to change the world, shifting the world to a new space of monsters, a new cartography and vision for the functioning of the world. Islands begin to appear in the ocean that hadn’t existed before and the world seems to be altering itself to medieval settings in a form of vast restoration. Bodies are no longer scarred through their transformations and medical modifications, but are reborn as monsters. The medical is undone and replaced by the miraculous. Wojcik offers a transhuman tale that questions the idea of the simple boundaries of human existence, inviting the reader to imagine the role of the monster as the ultimate outsider to challenge the simple boundaries policing human definition. Wojcik’s narrator, Melanie, originally biologically modifies herself as a way of speaking back against resistant classifications and to gain confidence. She embraces a chimera image of assembled animal and insect parts, not wanting to limit herself to existing monster imagery, but instead to construct a new identity. But her identity isn’t just a challenge for others, it is an internalized question, an invitation for her to redefine herself and her place in a world that values normalcy even when there are possibilities for transhuman bodies. Wojcik’s “A New Bestiary” collides against normativity in our world, inviting us to reimagine our world and rankle at our restrictions. This is a story of home that asks how we define “home” and “belonging”. 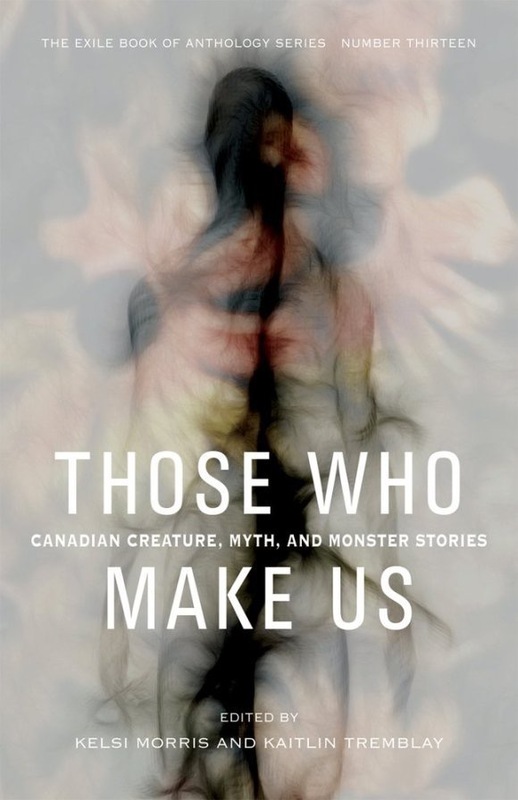 This entry was posted in Fiction Book Reviews and tagged belonging, body, change, cosmetic surgery, Diversity, home, human rights, identity, Kaitlin Tremblay, Kelsi Morris, Medieval, Michal Wojcik, Monstrosity, outsider, Posthuman, reviews, Transhumanism.